If the goal of human development is improving our quality of life, why are we so consumed by money and material growth? The excesses and waste of consumer society go on worsening a range of crises. While at the same time we recognise that limitless consumption doesn’t make for healthy, meaningful human life. So how can we transition to a new narrative of ‘the good life’, and the systems and measures to guide us there? It has long been recognised that Gross Domestic Product (GDP), for example, is an inadequate measure of society’s success and development. Many organisations are now developing other measures, including the New Economics Foundation, the OECD, and national governments from Bhutan to Canada. Yet despite decades of these initiatives, GDP persists as our primary point of reference, and we continue to do all we can to keep the current growth system going. Can this change? Does it need to? And if so, how can we make it happen? Join us in this vital conversation with a panel of prominent guests. Tim Costello AO is Chief Advocate for World Vision, was Victorian of the Year in 2004, and is one of Australia’s most recognised voices on social justice, leadership and ethics. Dr Melissa Weinberg is a well known 'happiness researcher', an Honorary Fellow of the Australian Centre on Quality of Life at Deakin University, TEDx Speaker, and Wellbeing and Performance Psychologist with the Sandringham Dragons. Dr Mike Salvaris is Chair of the Australian National Development Index, which leads Australia’s participation in the larger global movement to develop societal progress measures 'beyond GDP'. 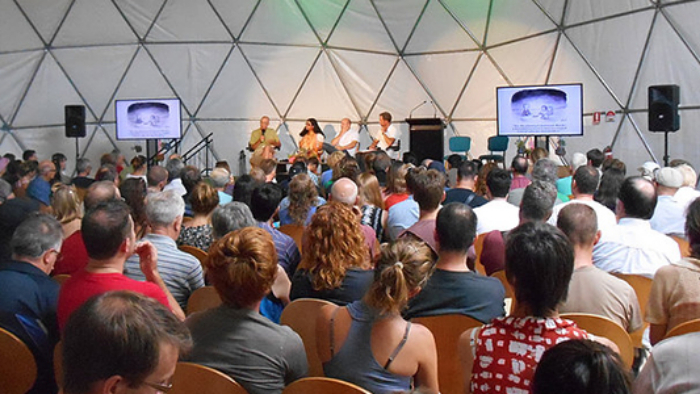 Moderated by Prof Brendan Gleeson, Director of the Melbourne Sustainable Society Institute.